2008 NAGA Champion – Advanced No-gi, Master’s, Middleweight Div. I have over 30 years of martial arts experience. I am an active competitor, instructor and student, specializing in Brazilian Jiu-jitsu and Thai Kickboxing. I’ve spent the majority of my lifetime training in, competing in, and teaching the martial arts, health and fitness, and I am excited to pass along my experience to you first hand. My teaching experience includes instructing men, women, children, military and law enforcement personnel. I believe in giving 100% when teaching and strive to provide the best instruction that you will find in the area. I’ve trained with many of the best in Brazilian Jiu-jitsu and Mixed Martial Arts. Try us out and you’ll see the difference! Gracie Barra Black Belt – Brazilian Jiu-jitsu. Received his black belt from one of Gracie Barra’s head instructors Roberto “Gordo” Correa in October of 2000. Trained under Professors Carlos Gracie Jr. and Jean Jeaques Machado. 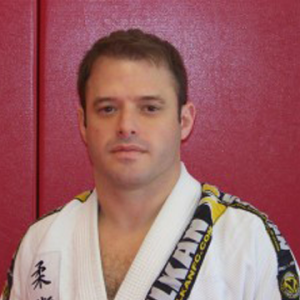 Gustavo has been training, competing, and teaching Brazilian Jiu-jitsu and Vale-Tudo for almost 20 years. Gustavo moved to Virginia from Brazil in 1998. Gustavo settled in Virginia Beach, Virginia and started the Renzo Gracie Competition Team, with the full blessing of Mixed Martial Arts and Brazilian Jiu-jitsu legend, Renzo Gracie. Gustavo has since become an official Gracie Barra Academy, with the blessing of Carlos Gracie, Jr. Gustavo continues to spread the art of Brazilian Jiu-jitsu through his teaching, support of tournaments and through his successful students – many of which have won gold at the Pan American Championships. To learn more about Gustavo Machado, please visit his website at www.gustavomachado.com.